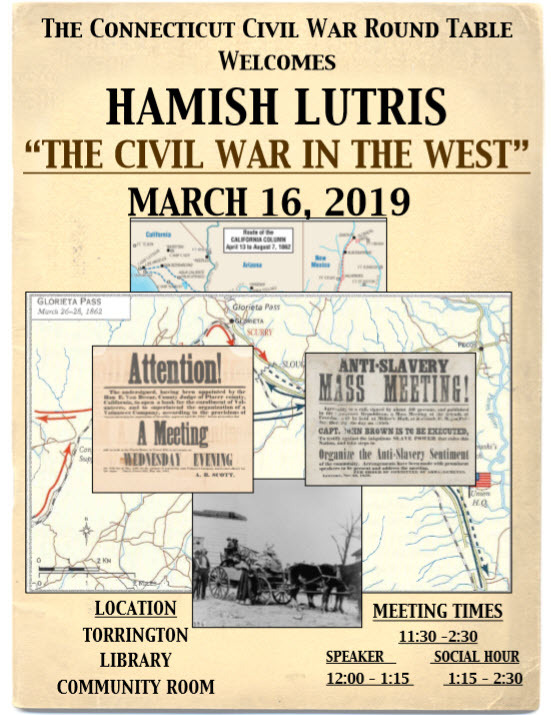 The CTCWRT is a non profit organization whose main objective is to bring forward the history of the great war between the states and to help observe the memory of many of our brave soldiers who paid the ultimate sacrifice between 1861 - 1865. Let us not forget them. 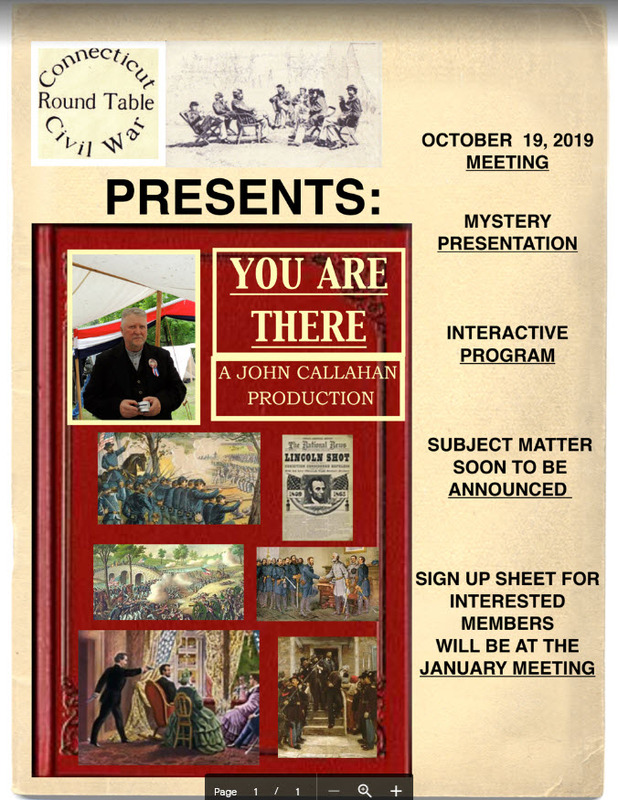 Want to join the Connecticut Civil War Round Table or renew your membership? Click on the link below and print out the form. Just a reminder. 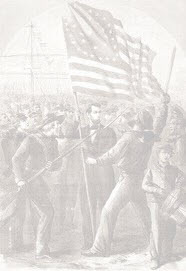 Our CCWRT Dues are due in the month of January. This is the only income that our Round Table has and pays for all of our speakers. 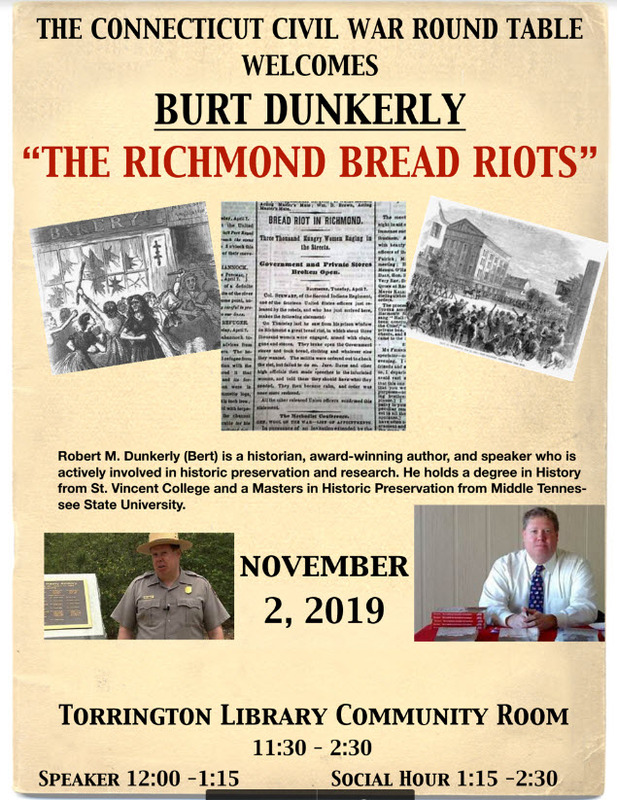 Dues are $40.00 per family. 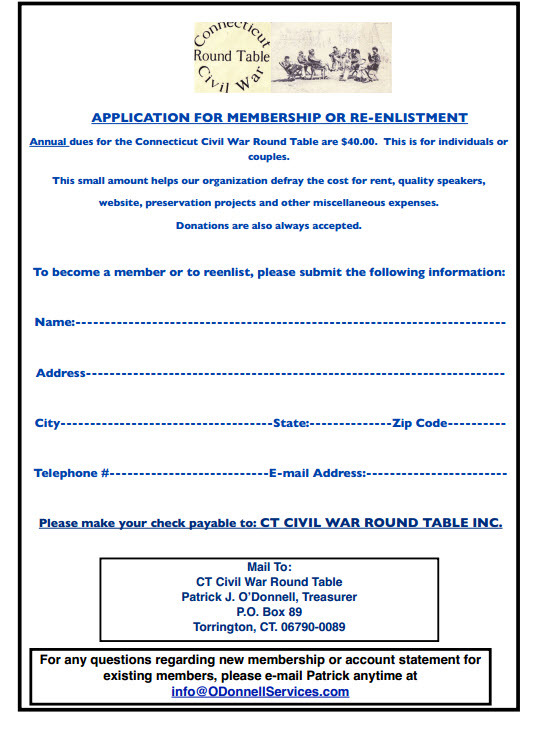 Please make checks payable to The Connecticut Civil War Round Table and send to : Patrick O’Donnell P.O. 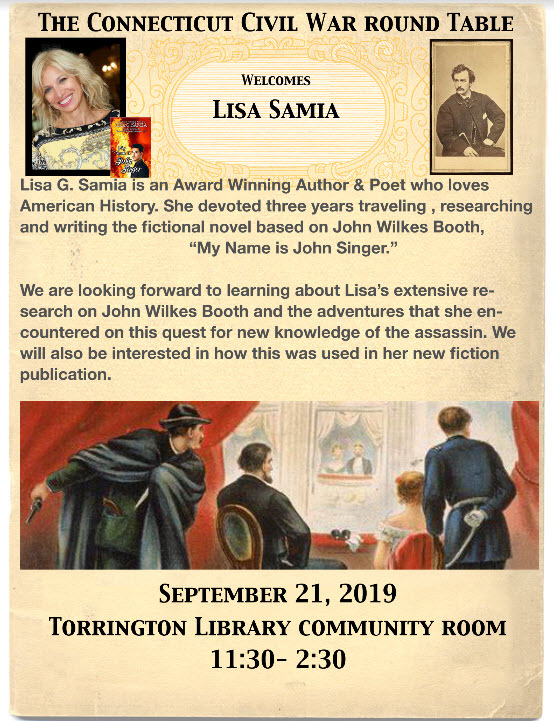 Box 89, Torrington, Connecticut 6790. Dues may also be paid during the meetings. 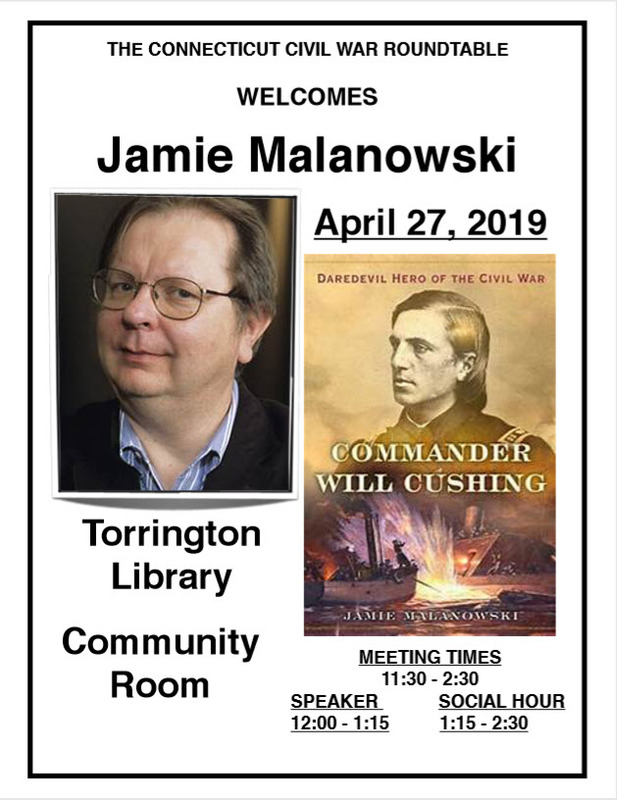 The Civil War Round Table is proud to announce our new meeting location at the Torrington Library Community Room, 12 Daycoeton Place, Torrington CT. New meeting times are now 11:30 - 2:20. 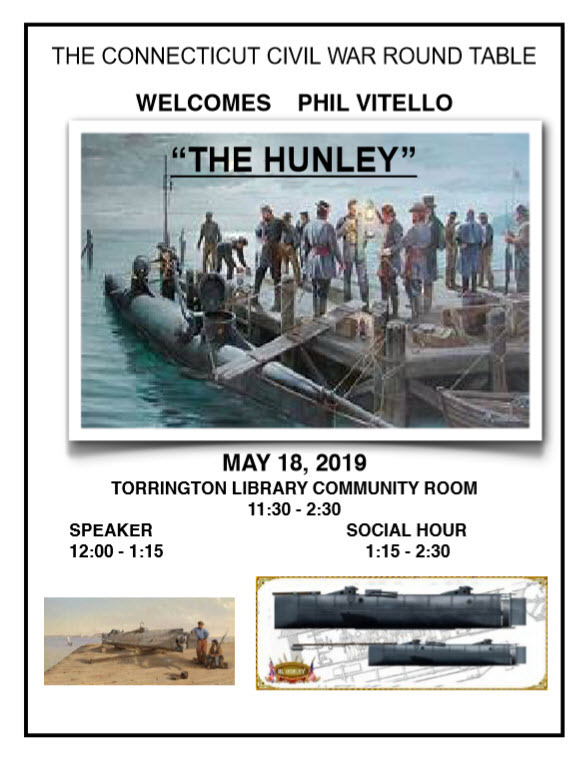 Check flyers below for more information as location and times can change.